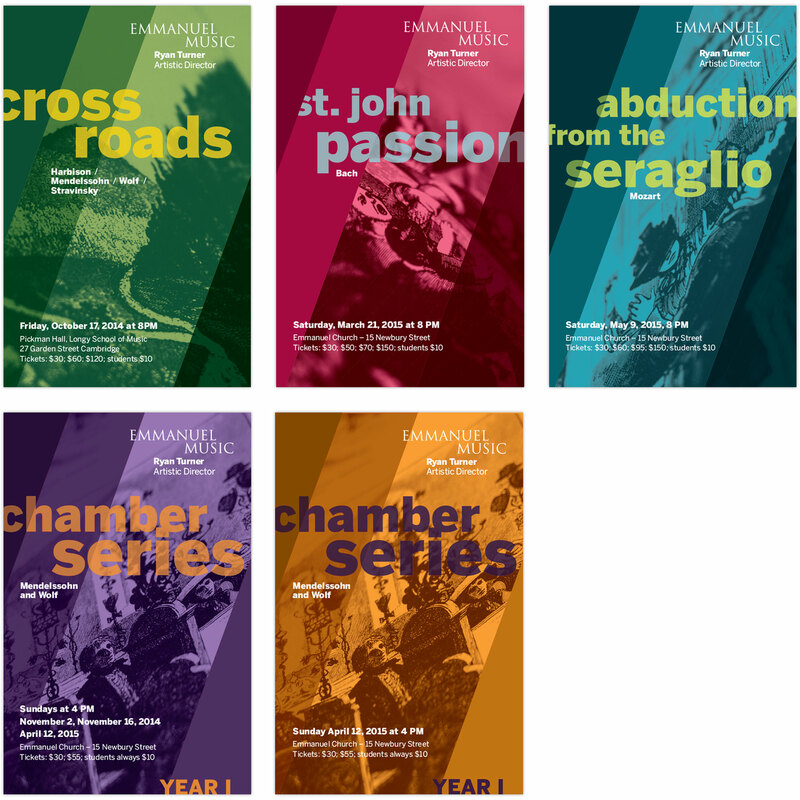 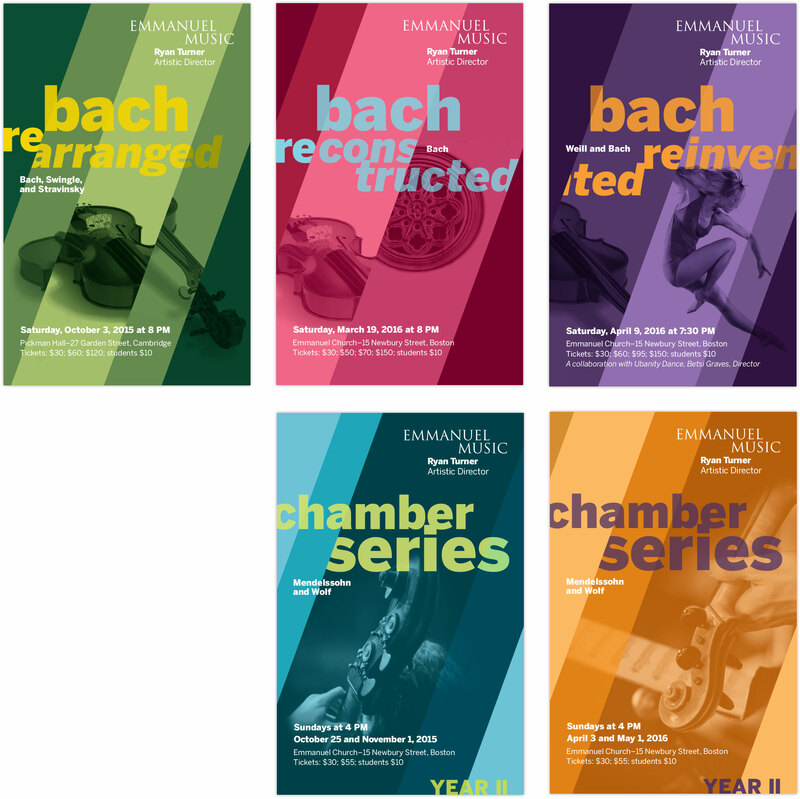 Expanding on a 46-year tradition of presenting weekly Bach cantatas in a liturgical setting, Emmanuel Music is dedicated to enriching the life of the community through the transformative power of music. 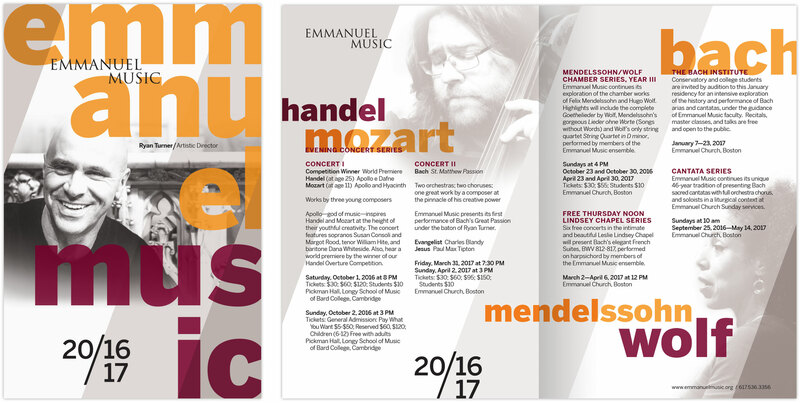 Emmanuel Music is a small, but important organization. 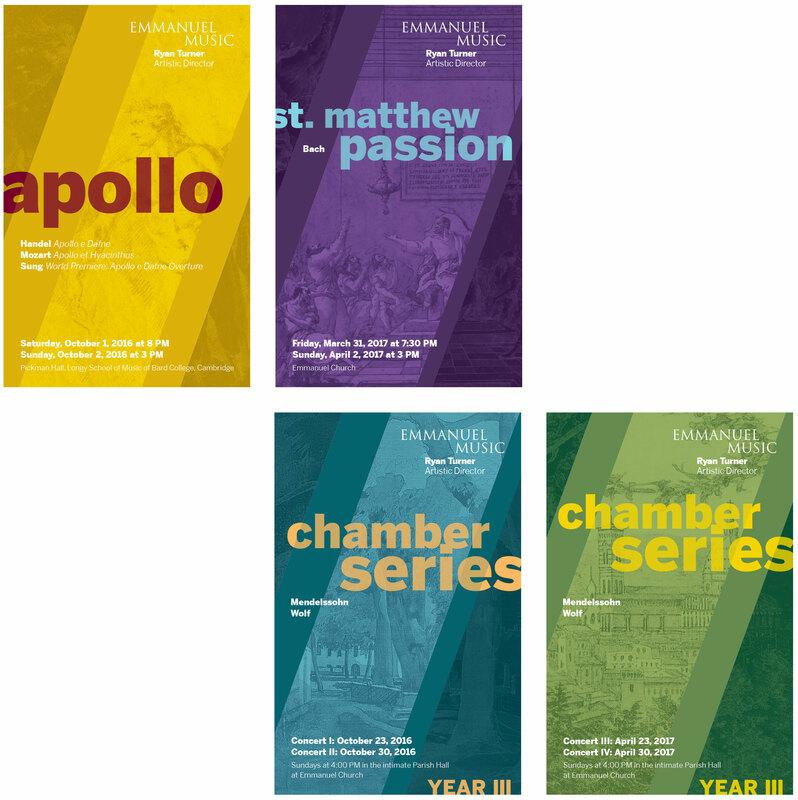 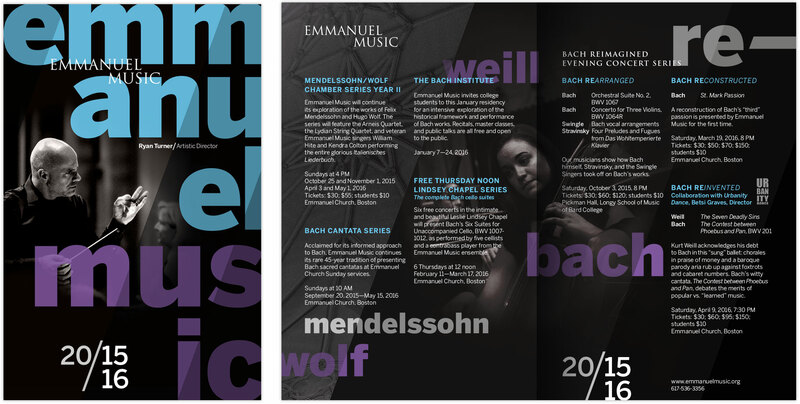 We were engaged to evolve the strategy and visual systems that would help Emmanuel to be known beyond its historic sphere of Bach Cantatas—and to be better positioned for individual fundraising. 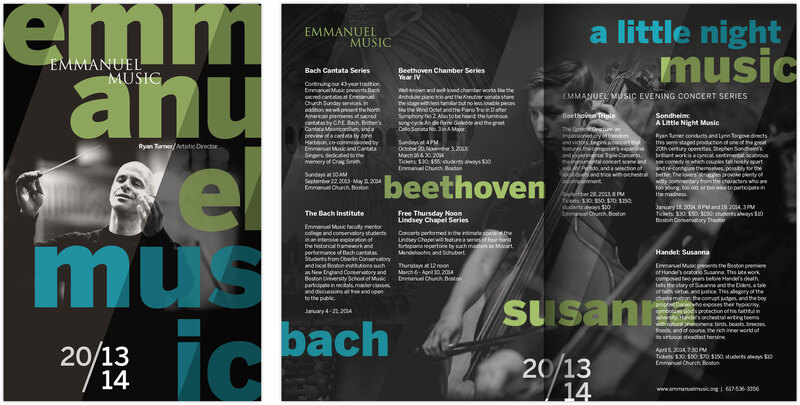 We crafted a small brand system that allows the organization to reach a wider swath of potential attendees and donors—and gives it to tools to market diverse musical offerings—with a skeletal staff.